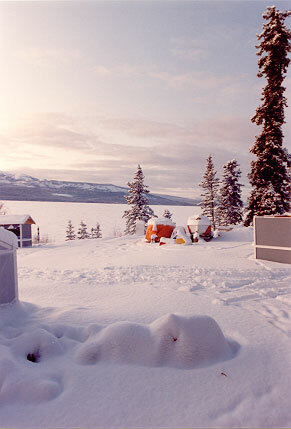 Typically on a cold winter day in the Yukon you can see for miles. There's very little pollution and the air is fresh to breath... well sometimes a little too fresh. You can always dress for the cold but the winters are long and life is a bit more difficult when it's forty-below.